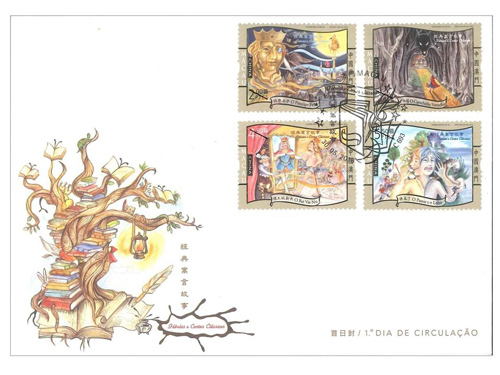 Stamp Issue "Classic Fables and Tales"
Macao Post and Telecommunications Bureau will issue the stamp theme “Classic Fables and Tales” on 30th May, 2018. 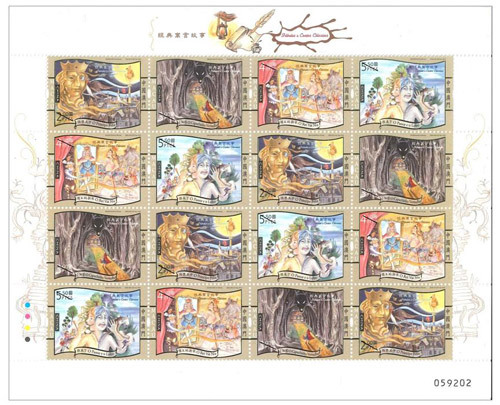 Fable stories are one of the oldest literary genres in the world, which reveals profound philosophies with appropriate metaphors, colorful imagination and vivid scenes, and inspires people with wisdom and beauty. 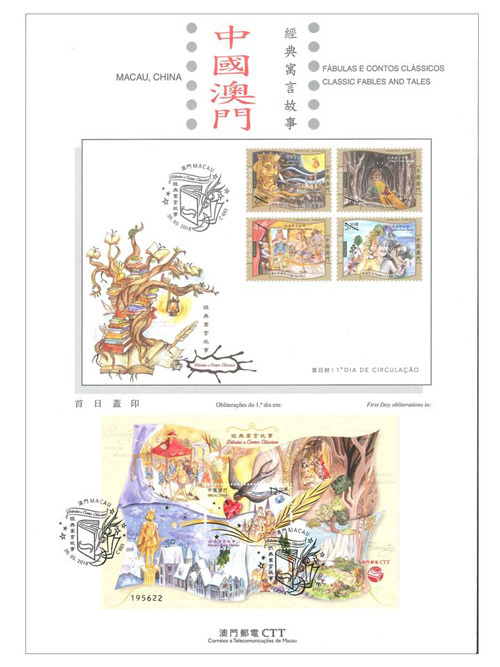 In Chinese culture, those deeply significant fairy tales can also be sorted into generalized fable stories types. 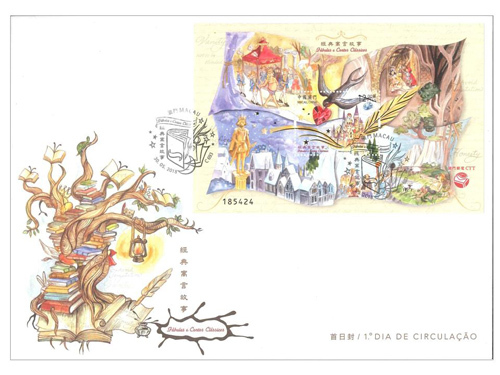 Fable stories are world cultural heritage that worth to be carefully stored and repetitively appreciated. 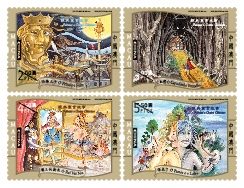 This issue includes a set of four stamps and one souvenir sheet, portrays four western fable stories, the themes are: The Happy Prince (Oscar Wilde Classics), Little Red Riding Hood (Grimm’s Fairy Tales), The Emperor’s New Clothes (Hans Christian Andersen’s Fairy Tales), The Boy Who Cried Wolf (the Aesop’s Fables). 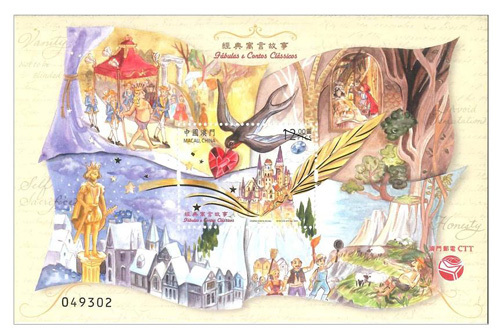 The souvenir sheet connects the four stories and it highlights a kind-hearted swallow flying over a beautiful castle and helping people in need. 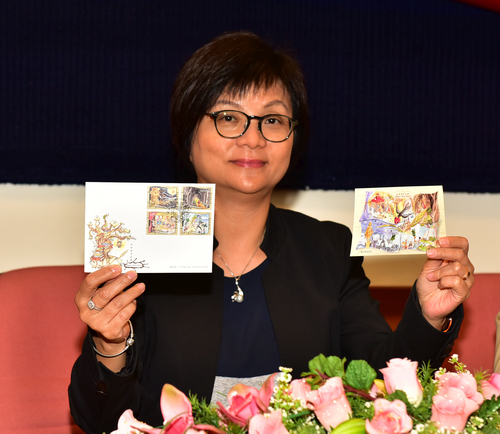 The stamp designer of this issue is Ms. Helena Man In, Ng, and the text of the information brochure is written by Mr. Yin Degang. 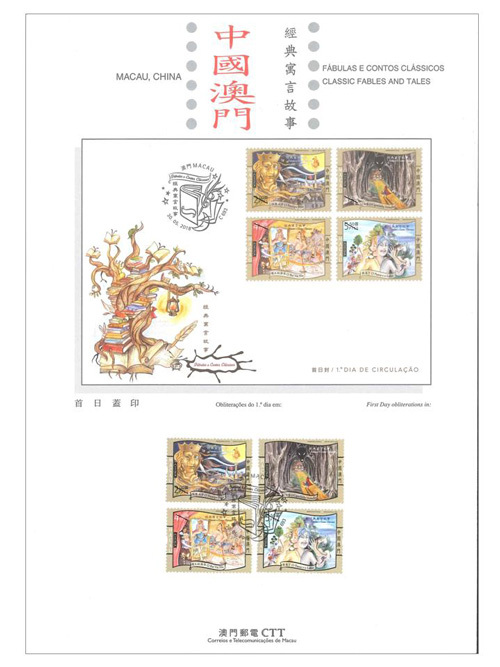 This is the fourth theme in 2018. 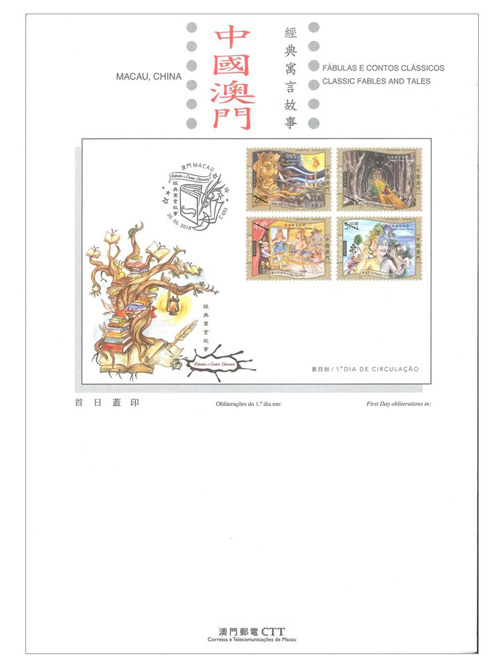 The previous issued stamps are “Lunar Year of the Dog” on 05/01/2018, the label stamp “Lunar Year of the Dog” on 31/01/2018, “Macao 2018 – 35th Asian International Stamp Exhibition (I)” on 01/03/2018, and “Mainland Scenery VII” on 12/04/2018.